Fiesta Inn Aguascalientes Patio is a 3.5* hotel located in Aguascalientes, Mexico. It features 124 rooms. 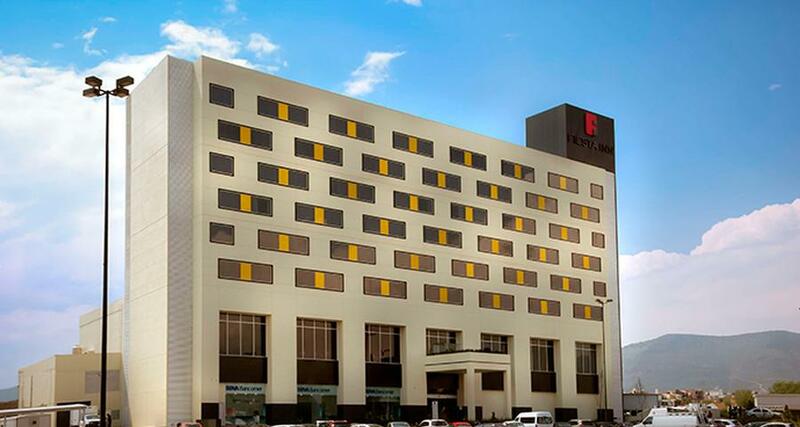 The Fiesta Inn Aguascalientes Patio is a practical and modern business hotel with an excellent location, right next to Patio Aguascalientes Shopping Mall. It offers easy access to several restaurants, shops and main tourist attractions in Aguascalientes, such as Descubre Interactive Museum of Science, Aguascalientes Theater, Plaza de Toros, and others. Its comfortable guestrooms offers functional spaces ideal to work and rest, as well as amenities such as air conditioning, telephone, work desk and wireless internet. Among its facilities you will also find a restaurant, business center, fitness center and event and meeting rooms. Take advantage and book your stay now!